Thanks Molly... I Guess we'll eventually get to hear entire album? Well... as often happens... it takes a proper listen before new songs "Grab me"
I even like "All In One Night (Unplugged)" and I am not a fan of songs that explicitly tell a little drama piece. Stomach is a bit "posh"... a bit "English"
I was RIGHT... I googled the lyrics... "stomach" used in early verse... but then "Belly" later. Generally I dont like music videos... the story superimposed over the song detracts from what the song itself might evoke. If I am gonna have a "video" I prefer to see the artist performing the song.. in studio or live concert in front of an audience. Great points! Too funny about changing to "belly". Okay, I will keep an open mind when listening to the new songs. Thanks for all the uploads!!! Yeah, I think I like the live (from the Firepit) or studio videos much better. This was released by "Stereophonics Official" today. 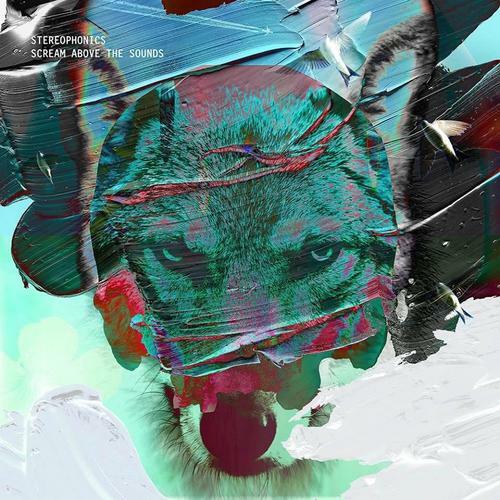 Stereophonics On Their New Album, "Scream Above The Sounds"
I never heard of this group but found them on your music thread a couple of nights ago. They are doing two concerts in Ireland next year. Not going to happen for me. Have they ever been to the states? Stereophonics have been around 20 years (as you can see)... I was NATURALLY a fan because of the Welsh connection... but they are far more than just a "Welsh Band"... they are well known in all of UK, Europe, as well as Australia and NZ.. and Asia etc. They do tour... I think they have performed in USA? They certainly pop up on TV shows sometimes. I read a lot info about them last night and got the warm fuzzies seeing they were from Wales. My now deceased grandfather (moms dad) immigrated to the states from Wales as a very young man. It is a nice family background story, we loved hearing him talk about his life as young person there. I loved my grandfather dearly. Any way off in the weeds, sorry. I hope to see this band someday. Thanks for having them on your site.